How much chlorhexidine actually makes it to a patient’s skin? There has been much impressive research of late around the use of chlorhexidine daily bathing to reduce the burden of skin contamination and protect patients from infection. This is quickly becoming en vogue, especially for ICU settings in the USA. But what is compliance like with this intervention, and how do you measure compliance? 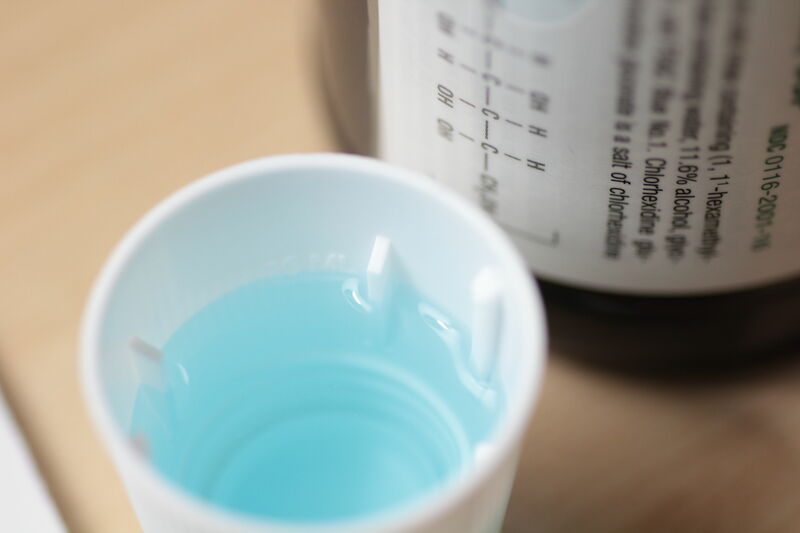 The studies that have measured compliance previous have said “Yes, this patient was given a chlorhexidine wash today”, but have rarely gone so far as to measure the actual concentration of chlorhexidine on the patient’s skin. So I’m really quite interested in seasonality of infections. I first became interested in it when looking at increases in E. coli bacteraemia for ARHAI (report here) because of Jennie Wilson’s excellent paper showing seasonality of gram negative bacteraemia, echoed by similar observations and conjecture on warmer weather, more infection. This is true in hospitals as well as the community. Why would this be? We have tussled with increasing E. coli bacteraemia in the UK for a few years now. Goes up every summer, does not return to the baseline, goes up again next summer etc., etc.. Other countries have also reported this. I have heard some suggest this is due to longer hours of daylight leading to more barbeques and more sexual activity. Given that the majority of infections in the UK are >70 years of age, my senior years have no fears for me then. Not content with a single well-planned study to provide information on what works to control multidrug-resistant organisms (MDROs) in the ICU, the MOSAR study group published an interrupted time series and a cluster randomized trial of various interventions in the Lancet ID. This makes the study rather complex to read and follow, but there are a number of important findings. 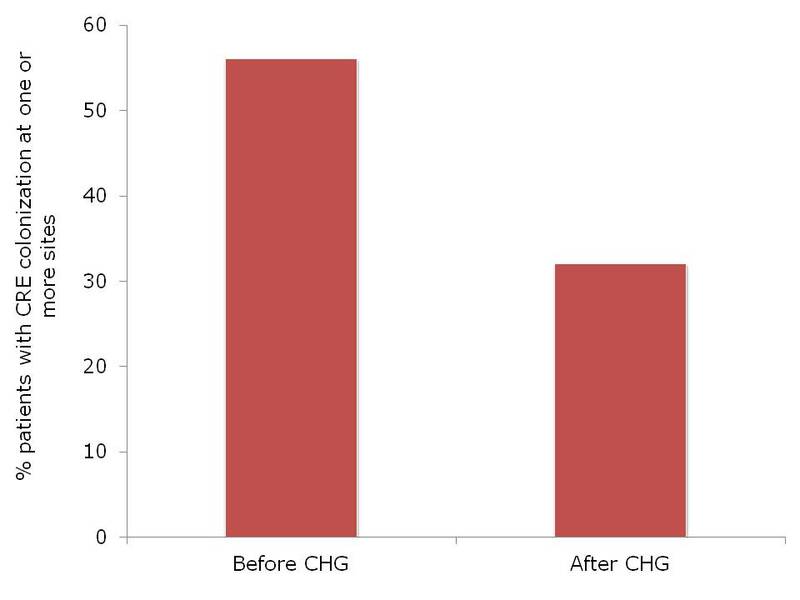 Following a 6-month pre-intervention period, a 6-month interrupted time series of a ‘hygiene’ intervention (universal chlorhexidine bathing combined with hand-hygiene improvement) was performed. The key outcomes were twofold: whether there was a change in trend during each phase, and whether there was a step-change between the phases. 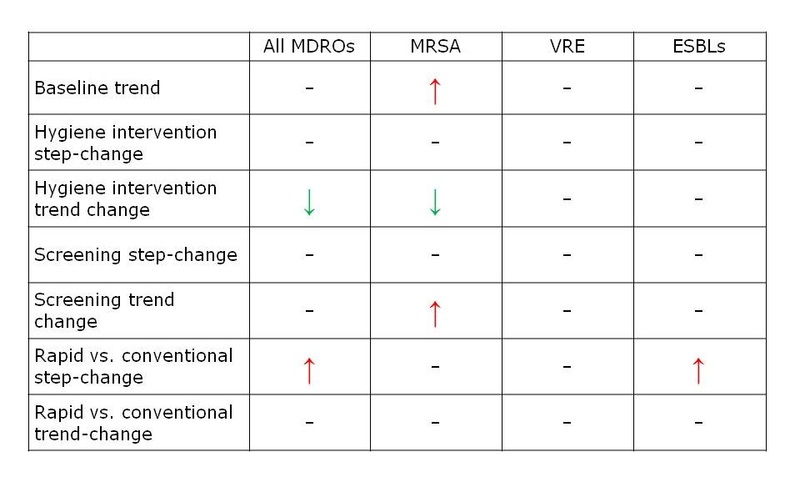 The hygiene intervention effected a trend change reduction in all MDROs combined and MRSA individually, but not in VRE or ESBLs (Table). However, there was no step-change compared with the baseline period. Table: Summary of reduced acquisition of all MDROs combined, or MRSA, VRE and ESBLs individually. In the 12-month cluster RCT of screening and isolation, the 13 ICUs in 8 European countries were randomized to either rapid screening (PCR for MRSA and VRE plus chromogenic media for ESBL-Enterobacteriaceae) or conventional screening (chromogenic media for MRSA and VRE only). When analysed together, the introduction of rapid or conventional screening was not associated with a trend or step-change reduction in the acquisition of MDROs (Table). In fact, there was an increase in the trend of MRSA acquisition. When comparing rapid with conventional screening, rapid screening was associated with a step-change increase in all MDROs and ESBLs. The study suggests, prima facie, not to bother with screening and isolation. Indeed, the authors conclude: “In the context of a sustained high level of compliance to hand hygiene and chlorhexidine bathing, screening and isolation of carriers do not reduce acquisition rates of multidrug-resistant bacteria, whether or not screening is done with rapid testing or conventional testing”. However, the major limitation here is that many of the ICUs were already doing screening and isolation during the baseline and hygiene intervention phases! I checked the manuscript carefully (including the supplemental material) to determine exactly how many units were, but it is not disclosed. To make this conclusion, surely the cluster RCT should have been ‘no screening and isolation’ vs. ‘screening and isolation’. The increasing trend of MRSA associated with screening and isolation by either method, and step-change increases in all MDROs and ESBLs associated with rapid screening are difficult to interpret. Is an increase in acquisition due to screening and isolation plausible? Can more rapid detection of carriers really increase transmission (the turnaround time was 24 hours for rapid screening, and 48 hours for chromogenic screening)? The rapid screening arm also included chromogenic screening for ESBLs, whereas the conventional screening arm did not, so perhaps this apparent increase in acquisition is due to improved case ascertainment somehow? 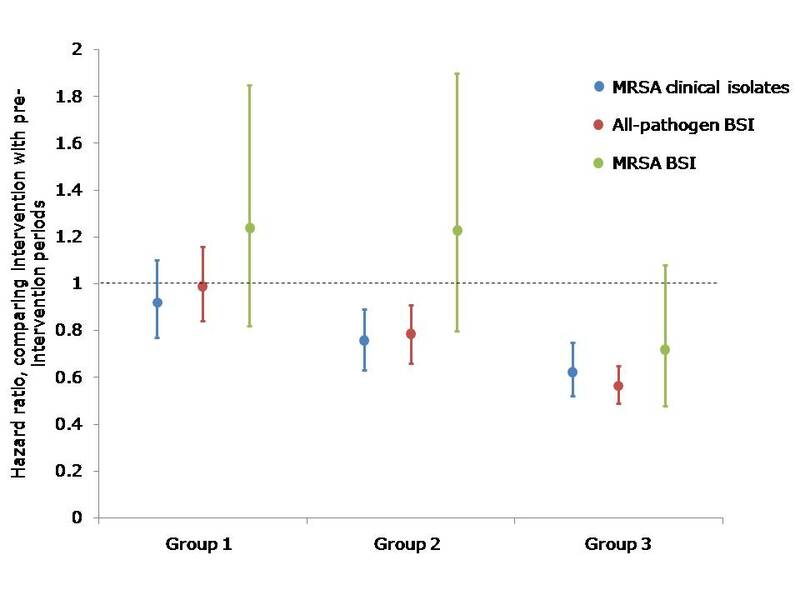 Looking at the supplemental material, a single hospital seemed to contribute the majority of MRSA, with an increasing trend in the baseline period, and a sharp decrease during the hygiene intervention. There’s a suspicion, therefore, that an outbreak in a single ICU influenced the whole study in terms of MRSA. Similarly, a single hospital had a sharp increase in the ESBL rate throughout the screening intervention period, which may explain, to a degree, the increasing trend of ESBL in the rapid screening arm. There was an evaluation of length of stay throughout the study phases, with a significant decrease during the hygiene intervention (26%), a significant increase during the rapid screening intervention, and no significant change during the conventional screening intervention. It seems likely that improved sensitivity of rapid screening identified more colonized patients who are more difficult to step down, resulting in an overall increase in length of stay. The carriage of qacA and qacB was compared in the baseline and hygiene intervention phase, finding no difference in carriage rate (around 10% for both). This does not match our experience in London, where carriage rates of qacA increased when we introduced universal chlorhexidine bathing. However, this was restricted to a single clone; the acquisition of genes associated with reduced susceptibility to chlorhexidine seems to be clone-specific. ICUs varied from open plan to 100% single rooms. Whilst the average proportion of patients in single rooms (15-22%) exceeded the average requirement of patients requiring isolation (around 10%), there was no measure of unit-level variation of single room usage. Since the study was analysed by cluster, the lack of single rooms on some units could have been more important than would appear from looking at the overall average. Put another way, a 100% open plan unit would have been forced to isolate all carriers on the open bay, and vice versa for a 100% single room unit. The impact of the various interventions was moderate, even though a ‘high’ MRDO rate was necessary for enrollment (MRSA bacteraemia rate >10%, VRE bacteraemia rate >5%, or ESBL bacteraemia rate >10%). Would the impact of screening and isolation be different on a unit with a lower rate of MDROs? It’s difficult to tell. Some of the microbiology is quite interesting: 8% of MRSA were not MRSA and 49% of VRE were not VRE! Also, 29% of the ESBLs were resistant to carbapenems (although it’s not clear how many of these were carbapenemase producers). In summary, this is an excellent and ambitious study. The lack of impact on ESBL transmission in particular is disappointing, and may lead towards more frequent endogenous transmission for this group. The results do indicate screening and isolation did little to control MDRO transmission in units with improved hand hygiene combined with universal chlorhexidine. However, we need a ‘no screening and isolation’ vs. ‘screening and isolation’ cluster RCT before we ditch screening and isolation. Article citation: Derde LP, Cooper BS, Goossens H et al. Interventions to reduce colonisation and transmission of antimicrobial-resistant bacteria in intensive care units: an interrupted time series study and cluster randomised trial. Lancet Infect Dis 2014; 14: 31-39. A seminal study recently published in the New England Journal of Medicine evaluated the impact of universal decolonization vs. targeted screening and / or decolonization to prevent ICU infection. The study has the potential to fundamentally change practice in ICUs around the world. However, I have two major problems with the study, namely mupirocin and chlorhexidine. Study design and results. The authors describe their design as a ‘pragmatic’ randomized controlled trial, which should serve as a model for other studies. There were several variables that the authors could not change, for example, the fact that some US states mandate universal screening whereas others do not. They were able to cleverly incorporate this into their stratified randomization process so that the integrity of the study was not compromised. Group 1: Targeted screening and isolation. Group 2: Targeted screening, isolation and decolonization (using intranasal mupirocin and chlorhexidine bathing). Group 3: Universal decolonization (using intranasal mupirocin and chlorhexidine bathing). The study compared the hazard ratio for MRSA clinical cultures, all-pathogen bloodstream infections and MRSA bloodstream infections in the 12 month pre-intervention vs. the 18 month intervention period for each of the groups. The main finding was that universal decolonization (Group 3) was associated with significantly lower rates of MRSA clinical cultures and all-pathogen bloodstream infection, and reduced rates of MRSA bloodstream infection (Chart). Target screening and isolation (Group 1) was the least effective strategy and targeted screening, isolation and decolonization (Group 2) had intermediate effectiveness (Chart). Major problems: My major issue with the study is the universal (aka indiscriminate) use of mupirocin and, to a lesser extent, chlorhexidine. MRSA are able to acquire low-level resistance to mupirocin through mutations in ileS or high-level resistance through the acquisition of mupA. I can’t help thinking that the authors underestimate the risk of driving mupirocin resistance with their comment in the discussion: ‘Mupirocin resistance has been reported in some studies of MRSA decolonization, but not all such studies.’ It is frankly naive to think that universal use of mupirocin for each ICU admission will not result in the widespread development of mupriocin resistance. Thus, the comment in the accompanying editorial urging caution in implementing the universal use of mupirocin is warranted. 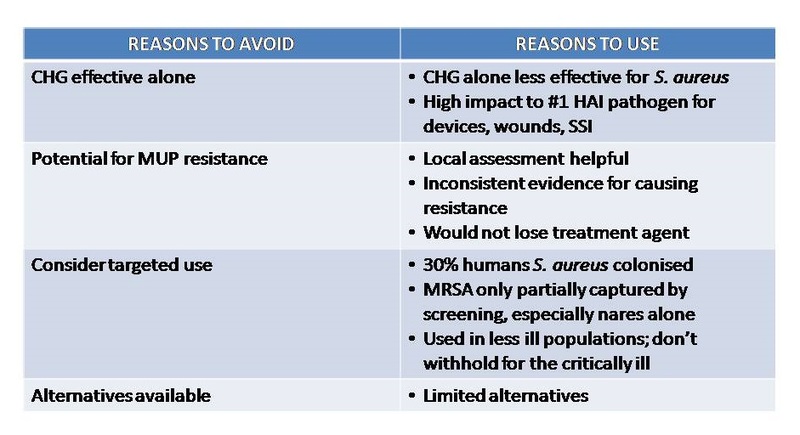 There is no generally agreed methodology for detecting reduced chlorhexidine susceptibility. Population MICs vary considerably making a meaningful breakpoint difficult to determine. 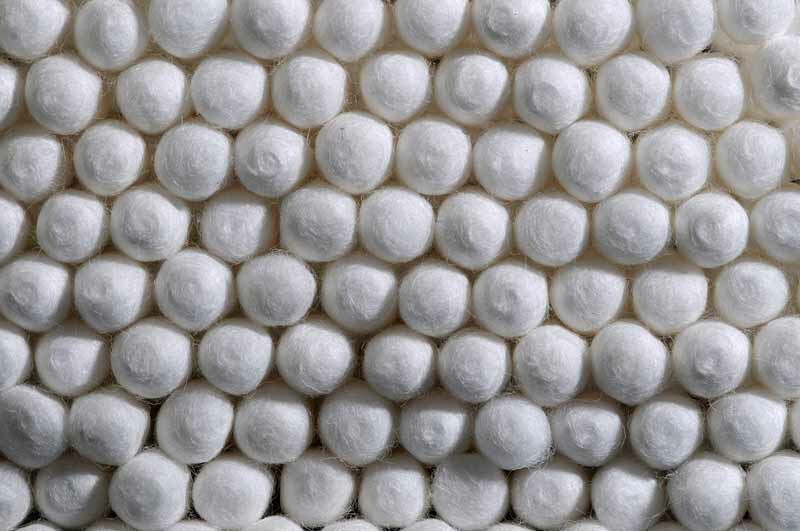 Higher MICs displayed by some isolates (4–16 mg/L) are still well below the effective chlorhexidine concentration applied to skin (10000–40000 mg/L). Although genes encoding membrane efflux pumps have been identified in S. aureus, including qacA, these have an unclear relationship with reduced susceptibility. Other mechanisms of reduced susceptibility, such as decreased uptake of chlorhexidine, may confound the apparent effect of efflux pumps. Although many studies have reported on qacA carriage or reduced chlorhexidine susceptibility in S. aureus isolates, few have evaluated clinically relevant outcomes. Notwithstanding these limitations, it is clear that the implementation of chlorhexidine based decolonization drives an increase in the carriage of genes associated with reduced susceptibility to chlorhexidine, and this may be clinically relevant based on studies from London and Geneva. For example, a recent article from my research lab in London found that the implementation of universal chlorhexidine-based decolonization was associated with the selection of qacA linked with a higher chlorhexidine MIC in one dominant endemic MRSA clone (CC22), but not another (CC30). The slower reduction in the CC22 MRSA bloodstream infection rate suggests that carriage of qacA confers a selective advantage. So, will the introduction of universal decolonization result in resistance to mupirocin and chlorhexidine? The answer for mupirocin is a resounding yes; the answer for chlorhexidine is currently not clear. Other limitations: It’s always easy to snipe at a high-profile study, but there do seem to be some important limitations. First, nasal screens alone were performed in patients admitted to Groups 1 and 2. The sensitivity of nasal screens alone can be as low as 50%, so the inclusion of other screening sites are preferable to improve sensitivity. The implications of missing many carriers on admission in Groups 1 and 2 are obvious. Second, although the trend was in the same direction, there was no significant reduction on MRSA bloodstream infections for patients in Group 3. In fact, the crude rate of MRSA bloodstream infection was rather high in all three groups (0.5 to 0.7 per 1000 patient days in all groups during the baseline and intervention periods). For reference, the rate of MRSA bloodstream infection at Guy’s and St. Thomas’ NHS Foundation Trust in London was lower than this at the peak of the MRSA problems in 2003, approximately 10 times lower by 2008 and has fallen further since then. So, why the relatively high rate of MRSA bloodstream infection across the board in this study? Third, while randomization is the “gold standard” in terms of study design, by chance, three of four hospitals that performed bone marrow and solid organ transplantation ended up in Group 3, which skewed this population somewhat. The study was large enough to “smooth out” this skew, but small studies that attempt randomization should take note. In a recent study with Johns Hopkins, we only had 6 units to play with so decided not to randomize but instead roughly “matched” the units in the two arms, which may be a better approach in smaller studies. Fourth, it does not seem that any attempt was made to ensure that patients in Groups 1 and 2 were bathed daily. While bathing with chlorhexidine impregnated cloths has been shown to be superior to bathing with soap and water, it is not possible to determine whether daily bathing or chlorhexidine were most important. Finally, compliance will never be 100%. Only 81% of patients in Group 3 actually received chlorhexidine and 86% received mupriocin, and only approximately 90% of patients in Group 2 that were due decolonization received chlorhexidine and mupriocin. However, the authors did achieve a very high compliance (in the high 90s) with admission screening in Groups 1 and 2. Summary: The authors should be complimented for performing such a detailed and useful study. Unfortunately, the protocol was not configured to assess the relative contribution of mupirocin and chlorhexidine to the reductions in infection. Given the likely emergence of mupirocin resistance, future studies should drop the universal use of mupirocin all together and see how far universal chlorhexidine alone can go; recent data suggest it will go a long way. Indeed, the UK has managed to make a dramatic, national reduction in the rate of MRSA bloodstream infection without implementing universal mupirocin. I have grave concerns about the universal use of mupirocin for all ICU admissions and, perish the thought, for all hospital admissions. To decide on implementing universal mupriocin use with a plan to keep an eye on resistance rates seems remiss (to put it politely) since the likelihood of widespread resistance is so high. 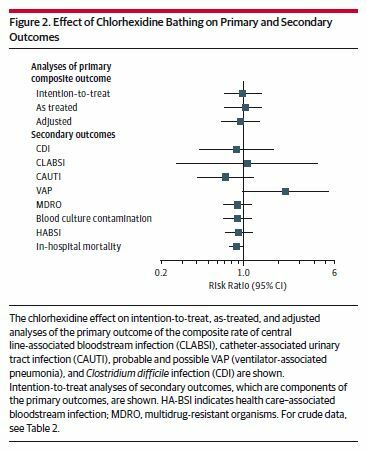 I am less concerned about the universal use of chlorhexidine, although reduced susceptibility needs to be monitored carefully. The accompanying editorial was entitled ‘Screening inpatients for MRSA – the case is closed’. For me, the only closed case emerging from this study is that universal, indiscriminate use of mupriocin is a bad idea. Antibiotics have caused the problem; they are not the solution. Article citation: Huang et al. Targeted versus universal decolonization to prevent ICU infection. New Engl J Med 2013 May 29. [Epub ahead of print].